Mark turns her poet's eye to the sublimely surreal in this collection of domestic oddities. The stories in Sabrina Orah Mark’s newest collection, Wild Milk, are as careful, diamond-sharp, and surprising as the narrative poems of Elizabeth Bishop ... this collection is about family and its various hoods—motherhood, step-motherhood, daughterhood, sisterhood, childhood, fatherhood, grandfatherhood, grandmotherhood, et al. Each of these roles is shot through with joys and obsessions and is taxonomically open, in that the roles shift and blur when emotional (or imaginative) pressure is applied. Although Wild Milk is much more than the sum of its parts, a collage of lines from the stories Everything Was Beautiful and Nothing Hurt, Mother at the Dentist, and For the Safety of Our Country,...can provide a small window into Mark’s unique world ... To read a Mark story is a beautiful spectacle, to experience a wonderfully choreographed tightrope performance. 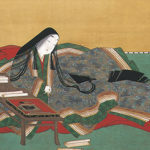 But it’s a melancholy performance, too, since none of her characters are expert funambulists. They are nervous, tender, cruel, funny, and messy human (and sometimes nonhuman) beings ... In short, Wild Milk is original and unforgettable—without a doubt my favorite book of 2018. 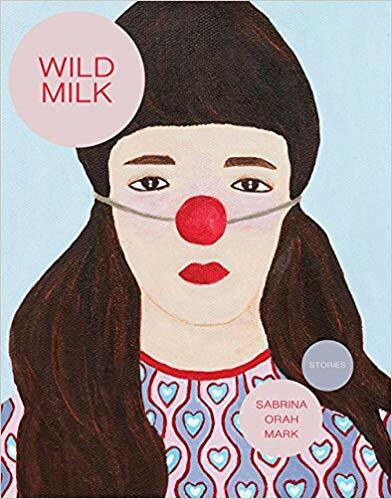 Poet Sabrina Orah Mark’s first book of fiction, Wild Milk, isn’t just a collection of surrealist stories with a contemporary twist. It’s an accumulation of highly astute observations on how people interact not only with relatives, officials, and pets, but also with the inadequacy of the language culture provides to lead lives as social beings ... Mark’s language is filled with allusions to the physical world, but the reader may struggle to follow her train of thought, especially when the words on the page meander outside the author’s control. The text shines when it hangs on to something tangible but gets lost in the fog of connotation when a linguistically amorphous story line dominates. ...two dozen strange mosaics ... Every story in Wild Milk is sharply surreal, yet some cut more deeply than others ... The surrealism of Mark's stories originates as much in the language as in the strange structures and fantastical, folkloric source material. Throughout Wild Milk, language is flexible, wriggling, and alive ... One might even call them whimsical, but whimsy implies something one doesn’t need to think too hard about. Whimsy suggests innocence, and these stories are too knowing, too winking for innocence. Mark’s stories want to fool you into thinking they are cute...all so they can sweep the rug out from under you at the last second. What did you think of Wild Milk?